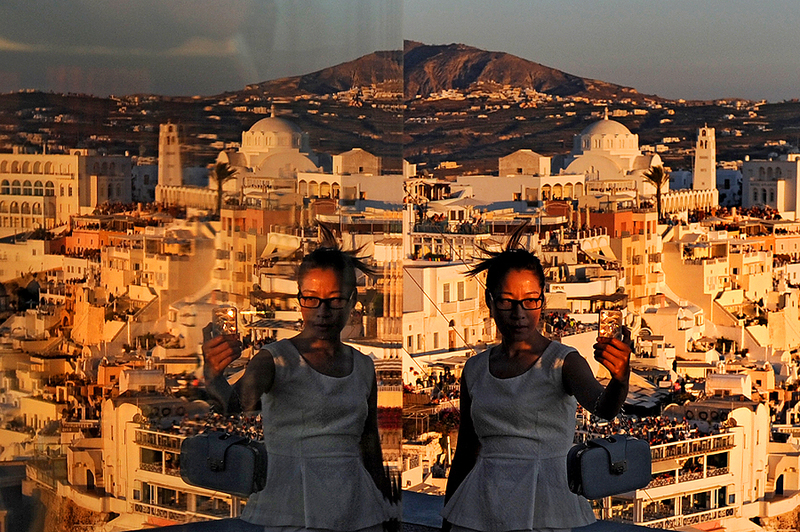 "A girl takes a self portrait of herself, as she is reflected off of a piece of glass, with the town of Fira behind her, on July 16, 2014 in Santorini, Greece." Vacation to most is getting away to relax - escaping the daily grind of their job and world they live in to refresh and recharge. The only problem with that, as a photographer and a visual storyteller, is that you want to document what you saw and where you've been. I was fortunate enough to travel to Greece earlier this summer and had an amazing experience as always when traveling abroad. Along the way, I saw some magical views and these are a few of my favorites clicks from the journey in Greece.